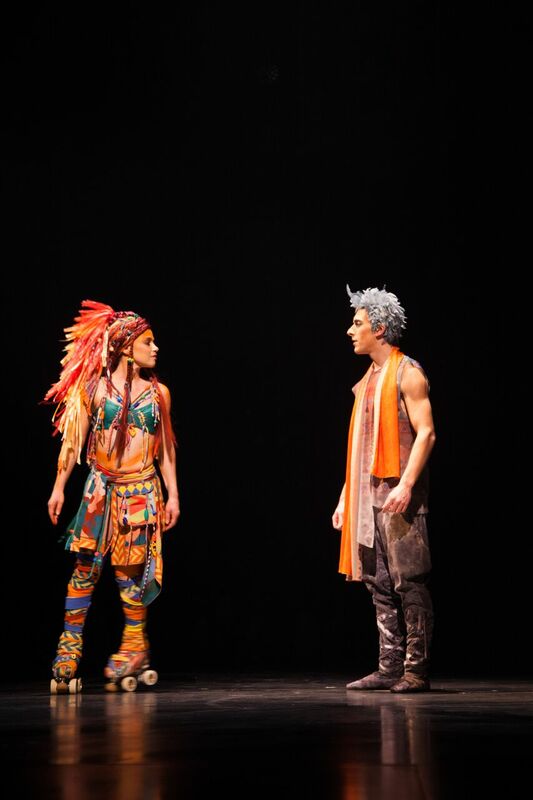 Cirque Du Soleil’s Volta is the 17th show presented under the Big Top at AT&T park in San Francisco. 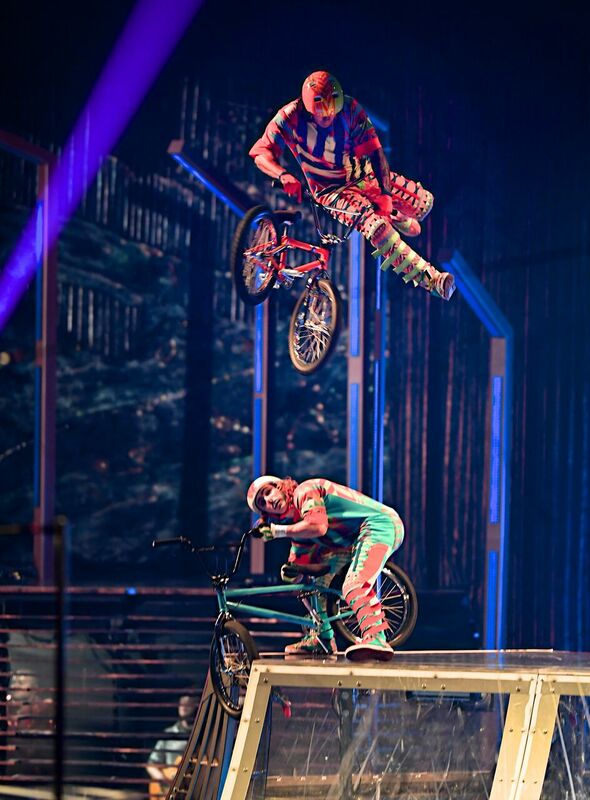 This rendition has a more urban feel than previous shows due to its inclusion of stunts with BMX bikes and a game of double dutch. These are things that some of us have seen in our own neighborhoods and are always impressive. It triggered many in the audience to rise in applause. The story revolves around Waz, a young blue-haired teenager who doesn’t seem to fit in with his peers. They walk around in unison with drab gray outfits, taking selfies, oblivious of their surroundings. Although, he also wears the same outfit, he can’t help but stick out because of his blue hair. After entering a contest where he shows off his bike skills, Waz ends up not only being mocked by them but also as a punchline in the newspaper. A critique in the lack of differentiation between mainstream media and viral content. He goes into a depression and we see him in his bedroom reminiscing of more innocent times with his mother, who encouraged and cultivated his free spirit. Waz eventually breaks out of his funk when he meets a roller skater and her friends, bringing color to his drab life with their free spirits and human connection. He finds himself, that person he was with his mother, in them. 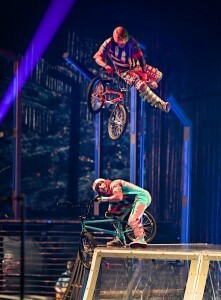 One of the things that stands out at each Cirque show is the sheer joy that emanates from the stage from the performers. This certainly contributes to their success beyond the incredible stunts and costumes, and a reflection of this show’s story line. Being around joy can cultivate joy within oneself. Another hit that’s great for the whole family with an important message about judgement and self-awareness. Performances are scheduled under the Big Top at AT&T Park in San Francisco from Thursday, November 15, 2018 through Sunday, February 3, 2019. Tickets (starting at $54) by visiting cirquedusoleil.com/volta or calling 1-877-9CIRQUE (1-877-924-7783).